They keep trying to “fix” things and one has to wonder just what the results are. Veterans who must drive more than 30 minutes to reach their Department of Veterans Affairs mental health or primary care providers would be allowed to use a private doctor for their health care under proposed rules the VA unveiled Wednesday. For specialty care, veterans could go outside the VA for medical treatment if a VA provider was longer than a 60-minute drive away. The draft rules are part of the VA Mission Act – a law scheduled to take effect this summer that aims to extend veterans’ access to private-sector doctors. VA Secretary Robert Wilkie said earlier this week that the new access standards would “revolutionize” the VA health care system. I go to a local VA Clinic for my labs and lab consultation with my VA doctor. The clinic is basically only a clinic that does the lab work and my doctor works at. It also has a Physical Therapy area. The downtown clinic does x-rays/MRI and a few other things. 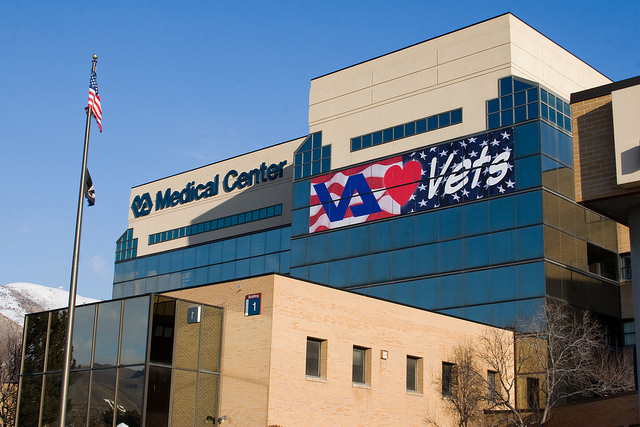 The actual VA Hospital, where all surgeries are done, is at least an hour drive from where we live. I've never had to go there. Along with my VA medical, I also have Medicare A/B, a supplement and a Drug Plan. I use both my VA and Medicare/Supplement/Drug Plan, however my daily prescriptions do come from the VA. When we move, I'll end up dropping the Medicare, supplement and drug plan...…….finances won't cover all of it, like they do currently. If a Vet only has VA Medical, and has to go to the ER, the Vet can only hope the VA will step in a possibly pay for the ambulance and ER. If not, the Vet will be stuck with a heck of a ambulance and ER bill. This distance rule has been in effect for some time now. We are in a spot where the VA is farther than 60 minutes away so this rule has helped us. It also helped my neighbor who was able to go closer to home for his artificial leg fitment. Not only more convenient, but a much better built leg. (I'll have to take his word for that). Interesting to note that reading the article led me to believe that most of the opposition is $$$$$ related. (sigh). I guess it's true that when you want a truthful answer, Follow the money. My guy proposed ... now what do I do?